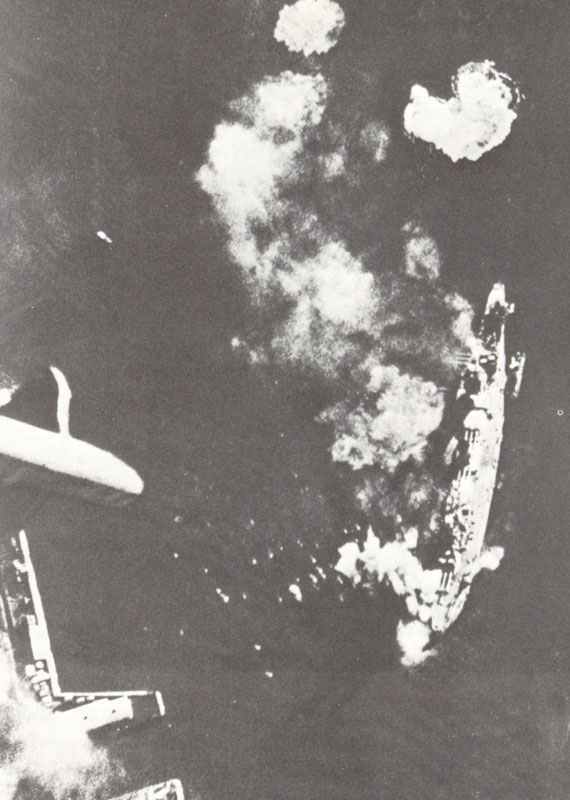 Direct hit of the bomb which sinks the battleship Marat at this day, dropped by Stuka ‘ace’ Rudel . Siege of Leningrad: 60 Ju 87 Stukas make repeated attacks on Russian Baltic Fleet in Kronstadt Harbour, near Leningrad (September 21-24): battleship Marat sunk, battleship Oktyabrskaya Revolutsiya hit by 6 bombs and 2 cruisers damaged. RAF de Havilland Mosquito flies first (reconnaissance) operation.